Are you suffering from frustrating and pesky acne since a long time? You aren’t alone, almost 80% of women around the world face this problem at least once in their lifetime. Excess oil production is the main culprit for the development of acne. When excess oil accumulates, it attracts and traps other impurities into the pores. This gives rise to bacterial activity which leads to the swelling, redness and other symptoms of acne. Hormonal changes, improper hygiene, nutritional deficiencies and stress are some of the factors that trigger excess oil production. The only formula to get acne in long term is nutritional diet and proper skin care. For treating present acne, you can trust on natural solution like avocado, apple cider vinegar, aloe vera or banana peel. In this article, we will provide more information on avocado for acne. However, if you want to banish the new breakouts, then you have to heal from inside. Click here to know the right procedure. Is Avocado Good for Acne? Vitamin E present in avocado fights with the bacteria causing acne and fades the acne scars. The antioxidants present in it fight with free radicals damaging the skin cells. The monounsaturated fats like oleic acid present in avocado nourish and moisturize the skin. Its anti-inflammatory properties provide relief from swelling, redness and pain. It restricts the productions of excess oil production by the sebaceous glands. Biotin present in it revitalizes the cracked, damaged and dry skin. When consumed regularly, it maintains the blood sugar levels which in turn balances the hormones in the body. Avocado oil forms a protective layer on the skin against the harmful factors that can lead to acne formation. How to Use Avocado for Treating Acne at Home? Here are various home remedies using avocado to get rid of acne lesions. You can try any one regularly until you achieve the results. Scoop out pulp of 1 avocado and mash it to get rid of any lumps. Spread a thick layer of the pulp on the face, back or chest where you have breakouts. Note: Alternatively, you can rub the peel of the avocado on the pimples for few minutes and rinse off after the application dries off completely. This combination works wonders in treating hormonal acne, reducing the excess oil production and moisturizing the skin. Honey contains antibacterial, anti-inflammatory and moisturizing properties. Wash your face with water and pat the skin dry. Combine the pulp of 1/2 avocado and 1 tablespoon of raw honey. Apply the mixture on the affected areas and leave it on for about 15 – 20 minutes. Repeat this process 3 times in a week for quick relief. For extra benefits: You can add 1/2 cup of plain yogurt for added benefits. The astringent and acidic properties of lemon help to shrink the pimples and open skin pores. It exfoliates the impurities and excess oil on the skin. This DIY mask is more effective for treating back acne and chest acne. Mash the pulp of 1 ripe avocado to get rid of any lumps. Add 1 to 2 teaspoons of freshly extracted lemon juice, 1 teaspoon of honey and 4 teaspoons of warm water to it. Mix well until the ingredients incorporate. Massage the mixture in a circular motion on the affected areas. Leave it on for 15 – 20 minutes and then wash it off with cold water. Pat the skin dry and apply some oil free moisturizer. Repeat the application of the mask 3 – 4 times in a week. Note: Leftover paste can be stored in a refrigerator and should be used within a week. The proteins and vitamins present in egg white nourish the skin. It also helps to tighten the pores, exfoliate excess sebum and shrink the acne. Combine 1/2 avocado and 1 egg white. Whisk the ingredients until it forms a creamy consistency. Add 1 teaspoon of fresh lemon juice to it and mix well. Apply the mixture on the face and allow it to dry for 20 minutes. For extra benefits: You can add 1 tablespoon of oatmeal into the mixture. Note: You can add a teaspoon of yogurt instead of lemon juice. This combination makes a gentle exfoliator which sloughs off the impurities and excess oil from the skin. The moisturizing properties of both ingredients moisturize the skin without clogging the pores. Mash 1/4 of an avocado into paste. Add 1 tablespoons of avocado into it and mix well. Slather the mask on the affected areas. When avocado oil is applied, it helps to unclog the pores by exfoliating the impurities and excess oil. The essential vitamins like A, B, E and D present in it help to cure acne and other skin problems. Cleanse your face with mild facial cleanser and water. Massage enough amounts of avocado oil on the affected areas. Leave it on for 20 – 25 minutes and wipe with a warm wet towel. Repeat this treatment 3 times in a week. Tea tree oil contains antimicrobial and antifungal properties which help to deal with the infection causing acne. It also helps to restrict the excess oil production by the sebaceous glands. Mix 4 parts of tea tree oil with 6 parts of avocado oil. Wash your face and massage the oil in a circular motion. Pour hot water in a container and take a facial steam. Wash the face with a mild cleanser and pat the skin dry. Follow this process regularly till you achieve the results. Coffee is another effective ingredient to treat cystic acne on face, chest or back. It naturally exfoliates excess oil and invigorates skin to prevent acne. Combine pulp of 1/2 avocado and 2 to 3 teaspoons of ground coffee. Gently scrub in circular motions for few minutes. Wait for 2 – 3 minutes and wash off with water. This face mask effectively removes all impurities and excess oil from the deeper layers of the skin. Banana and avocado supply enough vitamins to nourish the skin. Yogurt soothes the irritated skin while olive oil moisturizes the skin without clogging the pores. Mash 1/2 avocado and 1/2 ripe banana into paste separately. Combine avocado pulp, banana pulp, 2 tablespoons of yogurt and 1 tablespoon of olive oil. Mix well and let it sit for 15 minutes or until it dries completely. Rinse off the application with warm water followed by cool water to close the pores. Continue the application of this face mask regularly to get rid of acne. Castor oil is one of the effective ways to exfoliate the impurities and oil from the skin pores. It also contains antibacterial and anti-inflammatory properties. Take a facial steam to open the skin pores. Mix 3 parts of castor oil with 7 parts of avocado. Massage the mixture in a circular motion and leave it overnight. In the morning, clean your face with a mild facial scrub. This mask contains anti-oxidant, antibacterial and antifungal properties which help to destroy the acne causing bacteria and nourish the skin softly. Mix 2 tablespoons of avocado pulp, 1 tablespoon of raw honey, 1/4 teaspoon of cinnamon powder and 1 teaspoon of cocoa powder (optional). Apply the mixture on the face and neck carefully avoiding the area around eyes. Wait for 20 – 30 minutes and then wash off with lukewarm water. Continue applying this mask once in a week. Tomato helps to cleanse the pores, balance the pH levels and restrict the excess oil production. It also contains antioxidants which protect against the free radicals. Take a facial steam for 10 minutes to open the skin pores. Combine mashed avocado pulp and tomato pulp. Stir well and apply the mixture on the affected areas. Allow it to sit for about 30 – 40 minutes and wash off with warm water. Repeat the process once in 2 days for effective results. Apple cider vinegar balances the pH levels which helps to regulate the oil production. Being a natural detoxifier, it deals with the harmful toxins and free radicals that contribute to acne. Combine pulp of 1/2 avocado, 1/4 cup uncooked oatmeal, 1 teaspoon apple cider vinegar, 2 teaspoons of honey and few drops of lemon juice. Mix the ingredients well until it forms a paste. Leave it on for 20 – 25 minutes and rinse off with water. Continue following this homemade remedy 3 times in a week. Cucumber contains 90% of water which is helpful in hydrating the skin and regulating the oil balance. Its astringent property helps to treat acne and lightens the acne scars. Combine pulp of 1/2 avocado and 2 tablespoons of cucumber juice. Yogurt contains enzymes which exfoliate the impurities and excess oil from the skin pores. It soothes the irritation, inflammation and redness caused by pimples. Combine 4 tablespoons of avocado pulp and 2 teaspoons of plain yogurt. Spread the mixture on the affected areas. Leave it on for as long as possible and rinse off with lukewarm water. The combination of avocado and coconut oil helps to moisturize the skin without clogging the pores. It helps to fight off the bacteria and free radicals leading to acne. Mask 1/4 avocado pulp to get rid of any lumps. Combine avocado pulp, 1 tablespoon of coconut oil and 1/2 teaspoon of nutmeg powder. Continue following the acne treatment for 3 times in a week. Note: You can use honey instead of nutmeg powder. 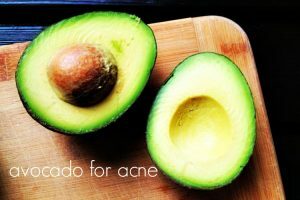 Does Consuming Avocado Help to Treat Acne? Avocado is an incredibly nutritious food. It contains potassium, monounsaturated fats, folate, vitamin K, C, B5, and E. When consumed regularly, it contributes to regulate the hormones in the body. It also lubricates the skin from the inside. If you are having avocado for the first time, then start with small quantities. Gradually, you can add 1/4 or 1/2 avocado into your smoothies. Avocado is a great alternative for bananas if you want to add a creamy texture to your smoothies. You can also add them into your salads or omelets. Avoid trying these methods if you are allergic to avocado. Using a banana, avocado and wheat gram mask on acne affected area will help to clear acne by minimizing the skins pores. Do a patch test before applying these methods to see if you are allergic. Make sure to wear old clothes while trying the treatments as avocado can leaves stains. Taking a facial steam before applying the remedies help to open the pores. Store any excess avocado mask in refrigerator in an airtight container for up to 3 days. Make sure to consult your dermatologist, if you didn’t find any kind of relief from this acne after using this avocado for a week. Drink plenty of water to flush out the toxins and maintain your skin hydrated. Eat a nutrition rich diet that includes vitamins, minerals and iron. This helps to maintain proper health and boost your immune system. Reduce your stress levels as it can worsen the acne and lead to hormonal imbalance in the body. So, try any one of the remedy regularly and get relief from stubborn acne with avocado. If you have any queries and suggestions then share it with us in the comment section below. Can I just put a mashed avocado on my face and it still work? Yes, you can. Apart from that wash the acne affected area regularly and avoid oily foods. As per your description, it is unclear of the side effect. Try different remedies if avocado didn’t work for you. You can find them here – http://homeremediesforlife.com/acne/. Apart from trying remedies, it is equally important to follow some tips. – Avoid oily, fatty and deep fried foods. – Eat vitamin C and A rich fruits and vegetables. – Don’t touch, prick or squeeze the pimples. – Drink plenty of water to flush out toxins. 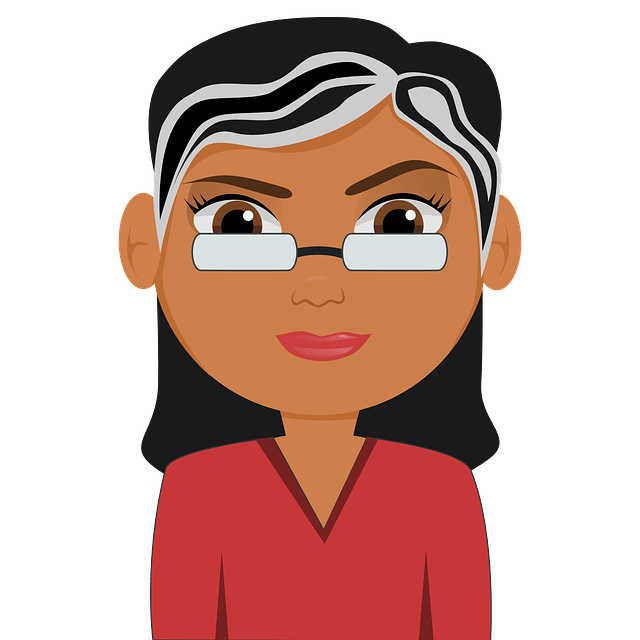 – Reduce stress levels by doing yoga or meditation. Will avocado, cinnamon and organic blue agave work as a sub of honey? Yes, it can work. Try it. and then lemon separately , , , , , will it be affective? Can you help me how to cure those pimples? If avocado didn’t work, then you can try other remedies mentioned in this article – http://homeremediesforlife.com/pimples/. Apart from that, exfoliate regularly, drink plenty of water, include vitamin C rich foods in your daily diet and reduce stress levels. Can I mix avocado, egg and honey together? Yes, you can. Try and share your experience. i have pimples,which mixture can help me better? All the combinations mentioned above in the article are effective. You can choose any one as per your preference.